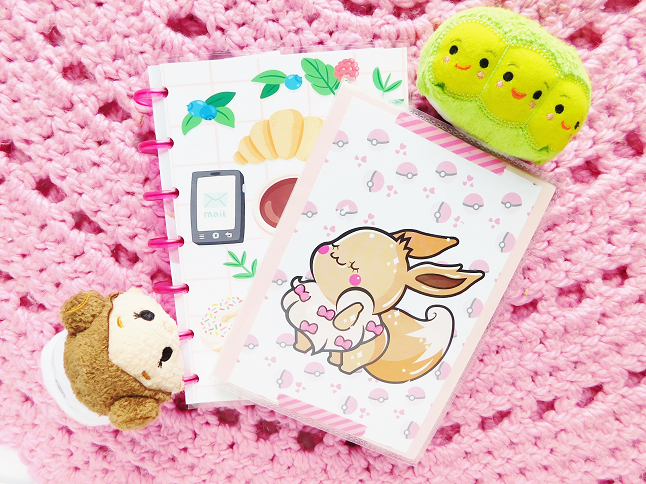 As you guys know I love planning especially with cute stickers. But when you have tons of planning stickers what is one to do? Make a sticker book! 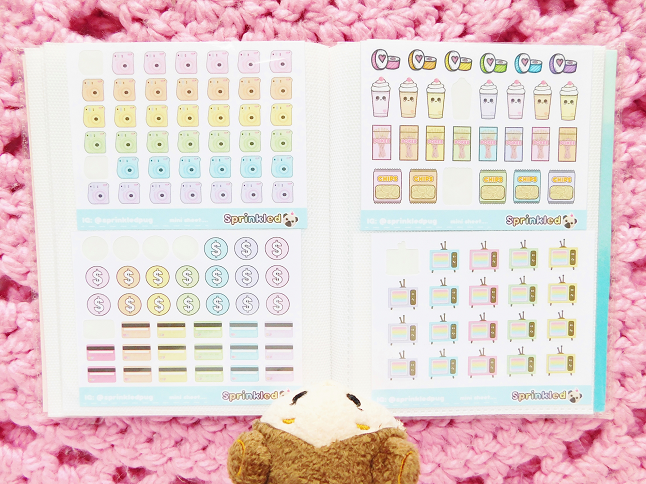 Having a sticker book is a genius idea for those who use planning stickers because it's a great way to easily access your stickers and keep them organized. I actually have two sticker books but today I am only showing you one because I am really happy with how it came out. Maybe I will show the other one in another post. However, today I will be giving you a quick flip through of one of my sticker books. This book is incredibly special because it features stickers from one of my favorite sticker shops, Sprinkled Pug! I've talked about Sprinkled Pug plenty of times in my stationery posts before. 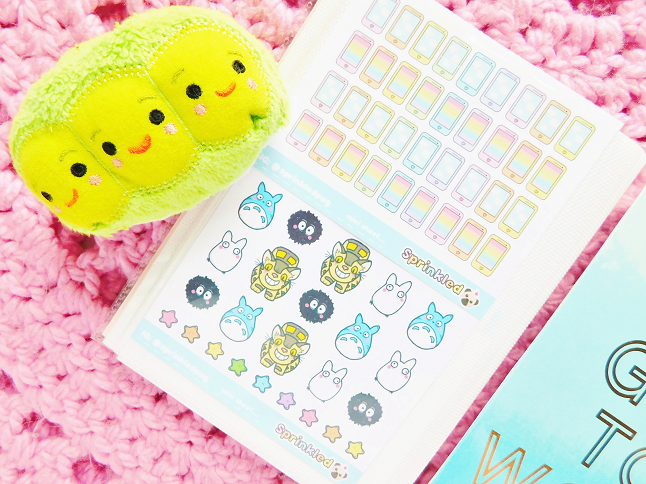 I just love the stickers from here because they're super adorable and affordable! Definitely, check out Liz's shop if you like the stickers you see. The book is actually a mini photo book from Michael's. It was only $1! 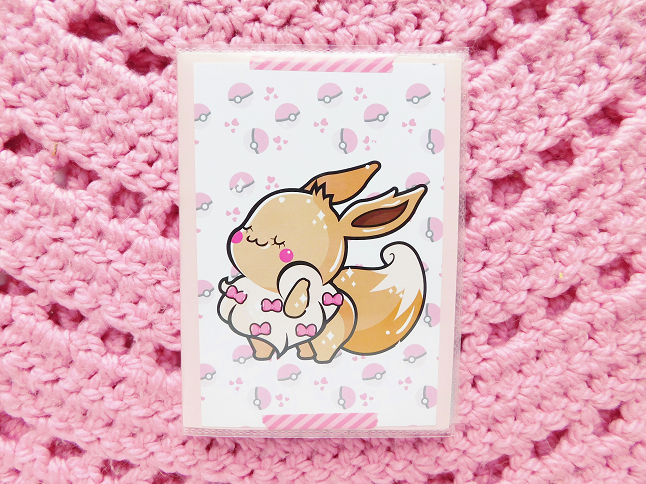 I removed the cover and taped an Eevee print from Sharodactyl Art with some washi on top of a scrap of pink paper. I love how it came out so much that I want to do the same to my other sticker book. These are some normal size sticker sheets. They are unused because I am waiting to get a bigger Happy Planner before I use them. 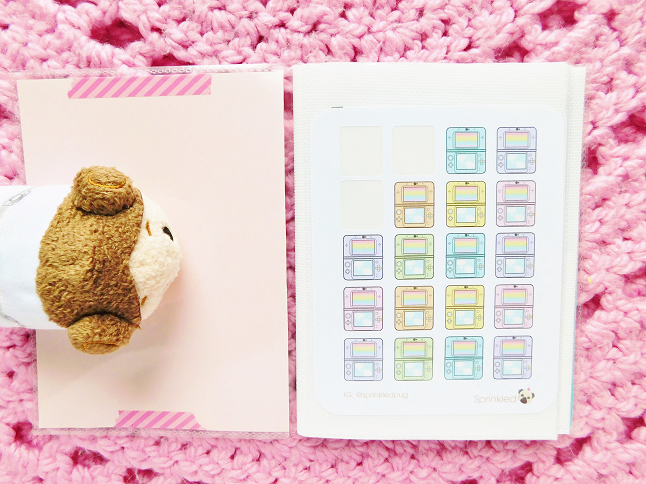 I have so many of the $1 sticker sheets from Sprinkled Pug because they are the perfect size for my mini Happy Planner. Most of the pages in my sticker book contain mini sticker sheets. 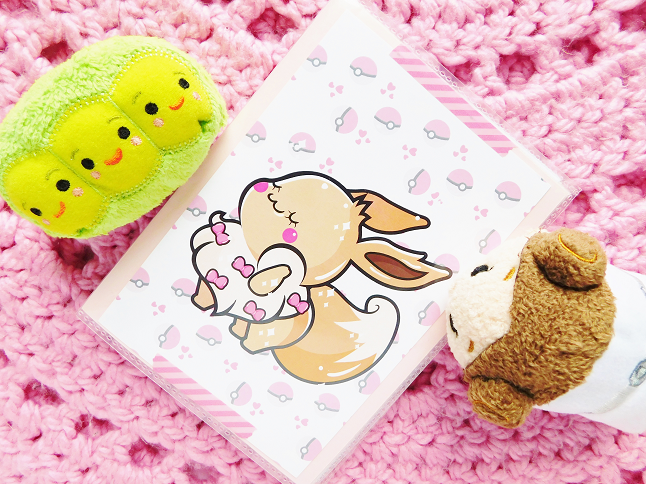 So cute *o* This Eevee print is amazing, I need to get it!